This macro shot is one I see everyday (screensaver), it helps me to remember my theme word for twentytwelve of FOCUS…and its beautiful sunlit petals expresses my take on this weeks photo challenge theme of light with Kim Klassen, with only a subtle texture enhancement with kkplastersquared. Lovely photo and the Wharton quote is a favorite of mine! I’ve actually started a gratitude journal that I do each night when I get into bed. The flower is lovely and I like the quote very much. 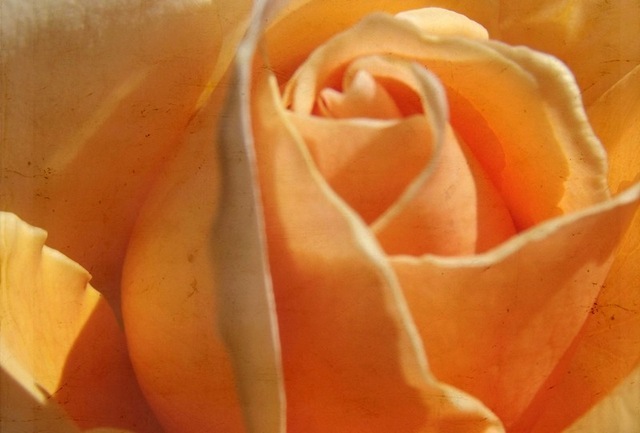 The apricot color is such a soft beautiful shade, which is even more enhanced by the light coming into it! Very lovely.